I had Elise’s conference this week. Let me set the scene. She’s two (almost three). This is a two year old program. This is a program that is designed to enhance social skills. This is to help sharing, engaging play with others, and learning the very basics of being a friend. I sat down at the table with Elise’s evaluation in front of me. I couldn’t help it- my eyes immediately scanned down the row of numbers. On a three scale, with three being Developing Appropriatey, two being Emerging, and one being Needs Growth, I laser focused right in on those twos. And that one. She’s two. She’s learning. It’s good for her to have room for improvement, right? It’s not like I was expecting all threes. I was expecting that one. But a two? A few twos? We walked out of the conference. My husband turns to me and says “I think that was so spot on. They really know her! I’m really impressed!.” I didn’t say much. My heart was racing. In these few days after the conference (which I may remind you again, she is two, this is preschool, these are not the SATs, we do not live in NYC, and she adores school), I have watched those twos. School is right. Does Elise have trouble asking for help? Yep. Does she sometimes have trouble initiating play with others? Yes. Are all of those other twos pretty accurate? Sure are. It’s hard for a parent for someone else (even someone who really knows your child) to tell you that your kid isn’t perfect. I’m imagining parents who work so hard with their children to get them to develop appropriately or even into the emerging category, and the frustration and stress that must come out. As a parent, we can do everything right and our children will still be a one, two, or three, always. Aren’t we as adults? Show me a person with straight threes. That person doesn’t exist. We are working on that one that she got, and working hard. Those twos will develop, and those threes will get stronger, just in time for a new set of challenges. If there is no challenge or nothing new to learn, where is the incentive to grow? 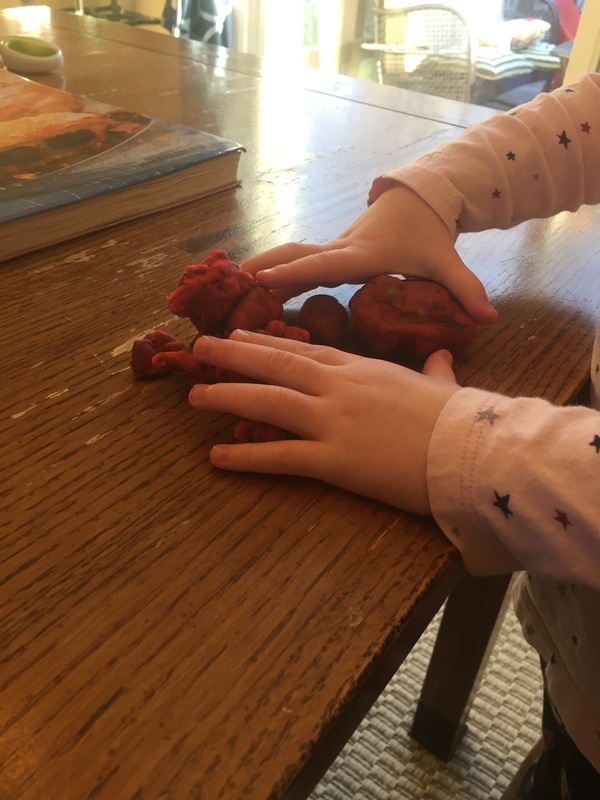 I am very appreciative to my preschool for not only knowing my daughter (accurately), but helping an anxious, perfectionist parent see that all threes add up to nothing. I’m grateful for the unbiased eyes to gently show me that perfect doesn’t exist, and if it did, then life would narrow a bit. I’m also grateful to my daughter, for ALL of her numbers on paper. She is her own person, controls her own independent mind, and has a loving spirit. Those things will always count as being off the charts for me. Her mama gets a three for working through this 😍. This parenting gig has a hefty learning curve!